Timofey 'Trueteller' Kunetsov finishes 2017 as the second-most winningest player in high stakes online cash games. In 869 logged sessions, ‘BERRI SWEET’ notched $1,769,395 in cash game winnings. Over 55,120 hands, ‘BERRI SWEET’ won an average of $32 per hand and over $2,000 per session in the swingy world of Pot Limit Omaha. On July 26, ‘BERRI SWEET’ won the biggest pot of the year in $200/$400 PLO against Viktor ‘Isildur1’ Blom. That pot was worth $213,261 and accompanied the third-largest pot of the year which was also won by ‘BERRI SWEET’ versus Blom. Finishing in second place for 2017 and the only other player over $1 million is Timofey ‘Trueteller’ Kuznetsov. The beautiful upswing on Kuznetsov’s graph is something to behold. Kuznetsov raked in $1,454,838 in 701 sessions and 59,505 hands. Following in the footsteps of ‘BERRI SWEET,’ Kuznetsov won the second largest pot of the year with Blom as his opponent. 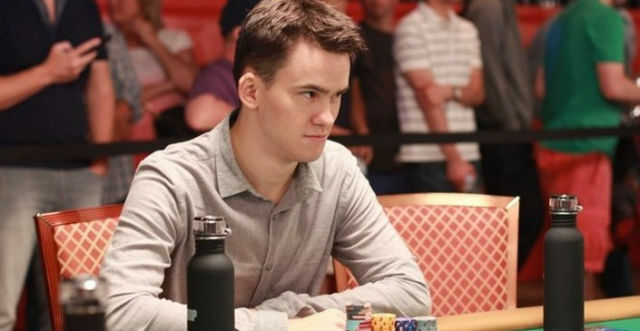 One of the worst beats in poker took place for Kuznetsov to drag in the $200,514 monster as Blom flopped a full house but got outdrawn on the river. All the money went in then and Kuznetsov took in the spoils. The third spot on the list belongs to Carlo van ‘Ravenswood13’ Ravenswoud. The Dutch player collected $814,543 at the online cash tables this year. The preferred game for Ravenswoud is Pot Limit Omaha and Ravenswoud also won a PLO SCOOP title in May for $61,080 more. Ravenswoud peaked over $1 million in October but hit a minor downswing late to finish under the seven-figure mark. ‘ActionFreak’ was a career high stakes loser when the year started but reversed that trend and pocketed $790,920, primarily playing PLO. It took over 75,000 hands for ‘ActionFreak’ to reach this total and they finished the year on an upward trend. The player who put in the most volume among the top-10 is Linus ‘LLinusLove’ Loeliger. Of those in the elite group of online players, Loeliger is the only one who put in over 2,000 sessions. Loeliger played 104,092 hands in that time and won $650,965. In all of his perpetually swinging glory, Viktor ‘Isildur1’ Blom stumbles in a #5. Blom played in the five biggest pots of the year, losing four of them, but still managed to hang on to $645,327. ‘Isildur1’ played all the games with PLO, No Limit Hold’em, 2-7 Triple Draw, and 8-Game all on his resume for this year. Blom lapped the field in terms of hands played with 198,340 in 1,338 sessions. Jordi ‘prot0’ Urlings found himself up $624,265 with less than 50,000 hands players. Another Dutch member of online’s best started the year down almost $100,000 but crawled out of that hole by mid-February and never looked back from there. December’s #1 is ranked eighth here. ‘RaúlGonzalez’ wraps up a season that saw quite a few swings. By June, ‘RaúlGonzalez’ was an $800,000 loser and went on a crusade from that point forward of over $1 million to finish 2017 up $574,768. ‘Mongano’ played the fewest sessions and hands of the top-10. It took only 195 log-ins and 13,232 hands for ‘Mongano’ to reach $438,932. ‘Mongano’ put in most of their volume on the 8-Game and Triple Draw tables. Heads up specialist ‘donthnrmepls’ takes their place at #10. Similar to ‘Mongano,’ ‘donthnrmepls’ played a lower number of sessions to finish with 210 played. In total, ‘donthnrmepls’ has $389,426 to build on for 2018.